For Removing Clutch. Fits the X30125841 friction hub. For Removing Clutch. For MY09 and old X30 clutch. Wildkart clutch puller for the 2009+ rotax clutch. This tool keeps the clutch from spinning when working on the clutch. This Puller will work with both new and old Rotax flywheels. It also fits Comer C-50/K-80/W60 engines. The puller has several hole patterns that fit Leopard & several ICC engines as well. 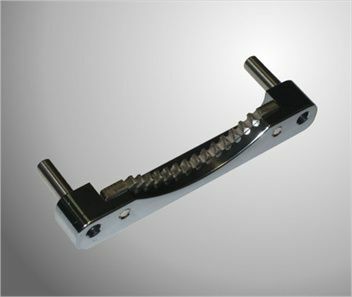 The puller is constructed with steel and has a hardened steel ball at the end of the main bolt to protect the end of the crankshaft. It also comes with an assortment of 12 metric bolts. Motion Pro Stator Puller - CR80, CR125, etc. Fits most 2-stroke motorcycle engines.